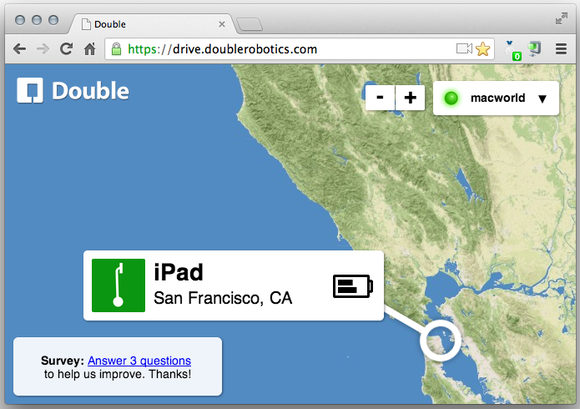 Double Robotics review: Why go to the office when a robot can go for you? What can you do for those times when you need to be in the office, but you just can’t make it? How about having a robot go in your place? 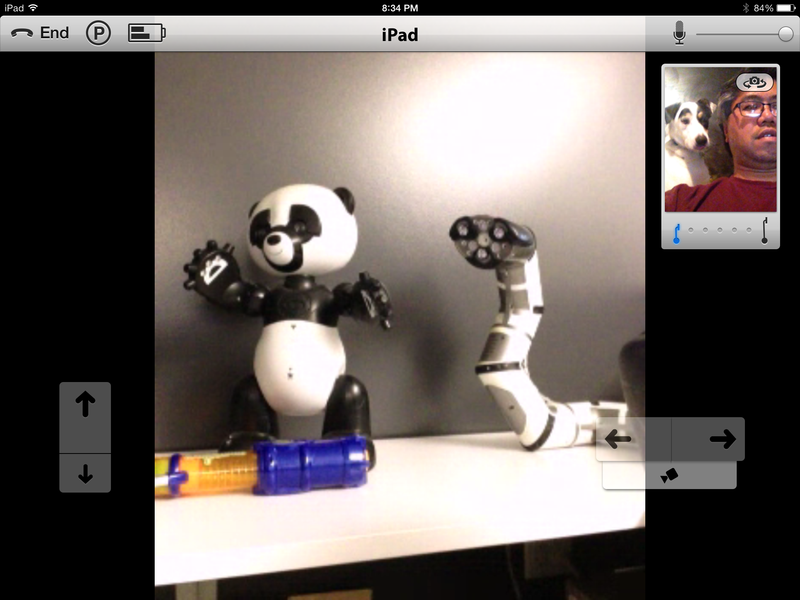 That’s the idea with Double, a telepresence robot that works with the iPad. Double is an iPad stand on wheels. The “head” provides a snug fit for a regular-sized iPad, which you must provide. The iPad connects to Double via Bluetooth, and the iPad’s camera and microphone provide video and audio to the controller. Double requires a connection to the Internet. The Double Robotics server is the hub for commands and video flowing to and from the controller. 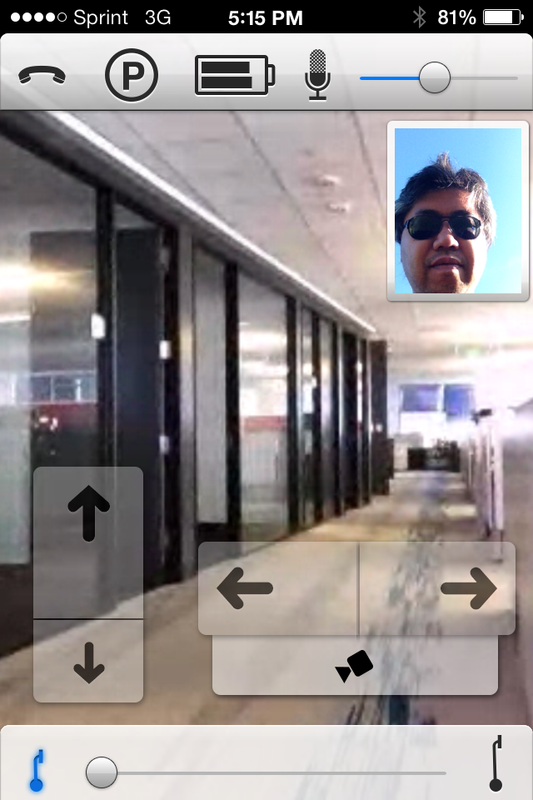 The video is encrypted using the WebRTC 128-bit AES encrypted video standard. The Double iPhone app had no problems controlling the robot while I was standing in the middle of a soccer field. In less than 10 minutes, I was up and running with Double—the setup was so easy, I felt like I missed something. To control the robot, You need another iPad or an iPhone and the free iOS app for iPhone or iPad, or you can use the Web-based controls via Google Chrome. (The WebTRC protocol that Double uses isn’t supported by Safari.) You tap the up and down arrows to go forward and backwards, and the right and left arrow buttons to turn in the respective directions. When using Google Chrome, you can use the arrow keys on your computer's keyboard. Because the controls are so simple, driving Double was probably more fun than I was supposed to have. It’s super easy to move Double down a hallway or to make easy turns, but it does take some practice to perform more pinpoint movements, like, say, moving between two objects. Double Robotics cleverly placed a mirror on the head that is used by iPad’s rear camera to look down. If you get yourself into a jam, you can use the Look feature in the driver software to view the Double’s wheelbase. 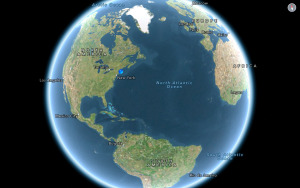 The Look view is a big help for when you need to navigate out of a rut or get around an obstacle that’s not in the view of the iPad’s front-facing camera. Double does a very good job of maintaining its balance, thanks to a combination of gyroscope and accelerometer sensors. If Double runs into anything the stand will sway, but it won't tip over. I also tested its balance by having people try to push Double over, but the robot always regained its balance and eventually stood upright. If you need to raise the eye level of Double, you can easily do so with the push of a button. Its shortest height is 47 inches, and its tallest height is 60 inches. The height affects the Double’s rolling speed, however; the taller it is, the slower Double goes. Most of the time, controlling Double in the office was smooth sailing, whether I was in the same building, at home, or even while I was standing in the middle of an empty soccer pitch. But I did experience a couple of instances where the software on Double seemed to lock up and I no longer could move. After logging out of the software for about five minutes, I was able to regain control. A Double Robotics representative told me that this problem could happen when the available network bandwidth becomes too low, and network administrations can avoid this issue by dedicating bandwidth to Double connections. Double Robotics says Double is ideal for remote workers who frequently need to interact with co-workers in an office. But there was one question my fellow co-workers kept asking: Why use a telepresence robot in the first place when FaceTime, Google Hangout, Skype, and other videoconferencing packages work just as well? A telepresence robot offers one major advantage: mobility. It allows the user to move through a workplace instead of having coworkers gather in a meeting room to use a fixed videoconferencing computer—in a production environment, having one robot moving around instead of a group of folks could be better for productivity. One thing to consider is if the people in your work environment are even ready to have a robot in the office. There’s a novelty to Double (or any telepresence robot) roaming the hallway—at least when you first introduce a robot to your workplace. People stop whatever they’re doing to watch or talk to the robot, so it’s initially disruptive. In my office, some people thought that having a robot in the office was evidence of futuristic thinking, but others thought it was creepy. Granted, a telepresence robot might be a luxury for many companies—at $2500 per unit, Double is on the more affordable end of the price scale. You also need to add in the price of the iPad for Double, which isn’t included, and you might also need to buy an iPad for the controller. So you’re looking at $3500 (or you can buy $399 iPad 2s and save a few bucks). That’s still cheaper than some other robots that have rolled through our hallways. Do toys come alive at night at the IDG Consumer & SMB offices? 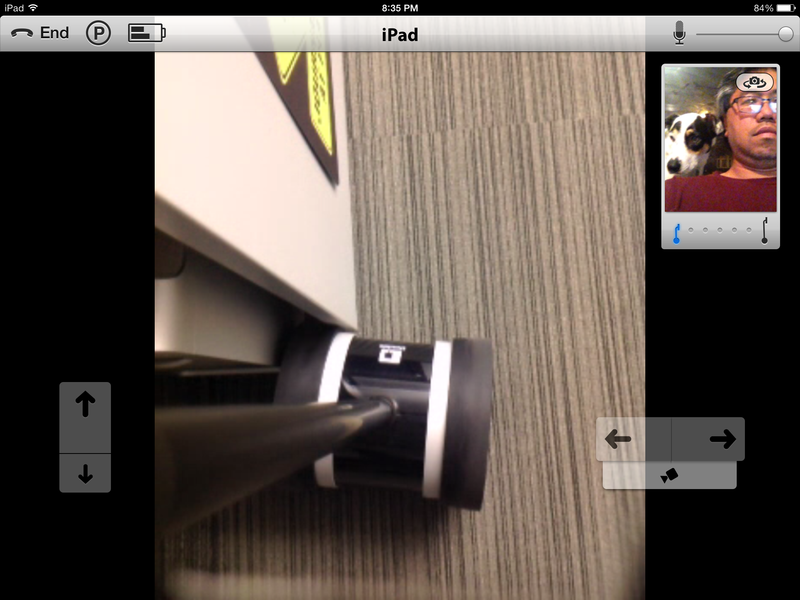 It’s easy to dismiss Double as a pricey remote-controlled iPad toy. But with companies rethinking their telecommuting policies, telepresence robots could become a viable compromise for employers and employees. With its ease of use and relative affordability Double can fill that need nicely. The Double robot is so easy anyone can use it, and it's fun, too.